European students don't just like Google and Microsoft... they looooove them. Google (GOOGL) has just been named the most attractive employer among European engineering and IT students, beating out former no. 1, IBM (IBM). 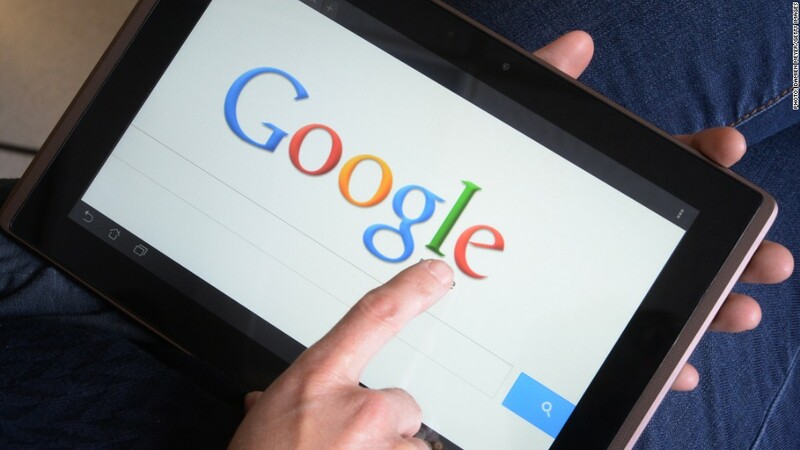 The annual ranking from Universum, a research and consulting firm, also named Google the most desirable employer among European business students for the fifth year in a row. 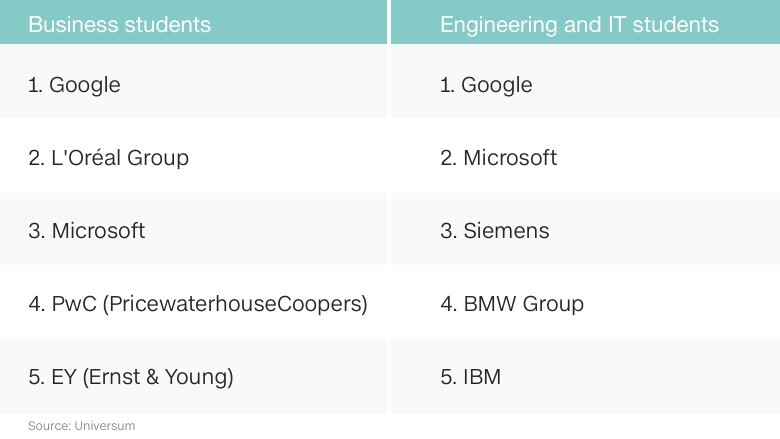 Microsoft (MSFT) came in second place on the engineering ranking, and third place on the business ranking. Google and Microsoft have quickly powered up the engineering ranking over the last year as they have improved their brand strategy and used their products to attract students, said Claudia Tattanelli, global director for Universum. "These two companies go beyond their products. They transcend them," said Tattanelli, noting that students in every European country Universum surveyed showed a growing desire to work at Google. Both tech giants successfully promote their workplaces as friendly and approachable, while offering new grads jobs that promise to have a tangible impact on the world, she said. Google's recruitment tag line -- "Do cool things that matter" -- sums it up nicely, she said. And Microsoft's catchphrase, "Come as you are, do what you love," is also very alluring for students. Both companies are also equally appealing to male and female grads, said Tattanelli. Meanwhile, some employers are offering leadership and graduate training programs to help them recruit more effectively. "I can tell you there are so many more of these graduate programs than ever before," said Tattanelli. Such programs help attract top talent because they put grads on the fast track for management roles, she said. Airbus (EADSF) -- ranked 8th on Universum's list among engineering students and 29th among business students -- last month opened a new "Leadership University" for employees in France. Leadership opportunities are increasingly important to business majors this year, she said. Students surveyed by Universum rank work-life balance as a top career goal, but their definition of the phrase differs from their parents'. Instead of eight-hour workdays and evenings without checking their cellphones, they are more focused on having friendly, respectful colleagues and being able to fit longer work hours around family time, said Tattanelli. The 2016 Universum rankings were based on a survey of more than 192,000 business, engineering and IT students -- most of them approaching graduation -- across 12 European nations, including Germany, France, Italy and the U.K.